Last Thursday we got the chance to present our school in front of the delegates of San Antonio, who visited our city due to the celebration of Darmstadt and San Antonio becoming twin cities. Our students and staff put a lot of effort into this presentation: speeches were written, videos shot and edited, english leaflets and this website were created and much more was done to impress the Americans with who we are and what we have to offer. It’s safe to say that we accomplished that and that we can be proud of us. Everybody was very nervous before the presentation, but everything went smoothly and robot NAO was a big hit. The delegates invited us and NAO to come for a visit – be it as exchange students or as friends, whichever comes first! The presentations ended with a German „tradition“. 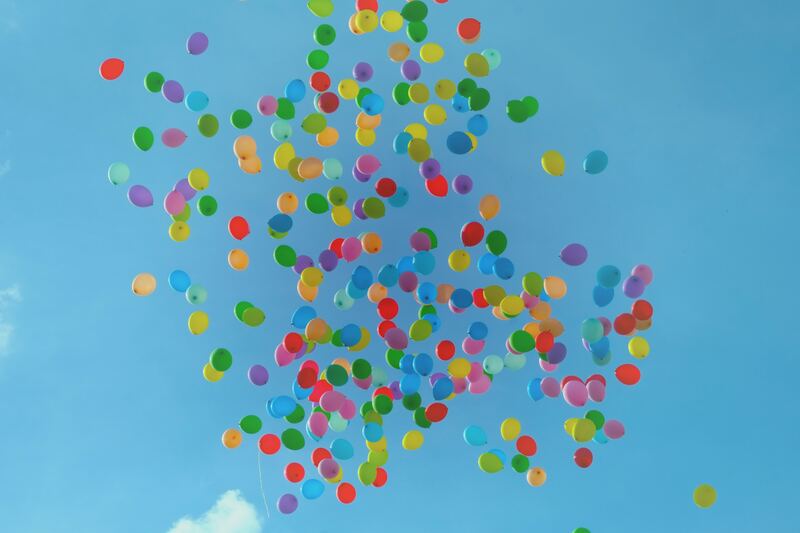 Whenever there’s a partnership to be celebrated and well wishes are in order Germans get balloons, attach little notes (wishes) to them and set them free. Our wishes regarding the partnership with San Antonio were quite obvious but nevertheless – it was a fun way to bond with our friends from the States. We chose Nena’s „99 Red Balloons“ which was not only a hit in Germany but also in the US, so it was a given to set the balloons free with this song.